With the Holiday season in full swing, busting out Justin Bieber’s holiday album isn’t the only thing we’re doing to celebrate. 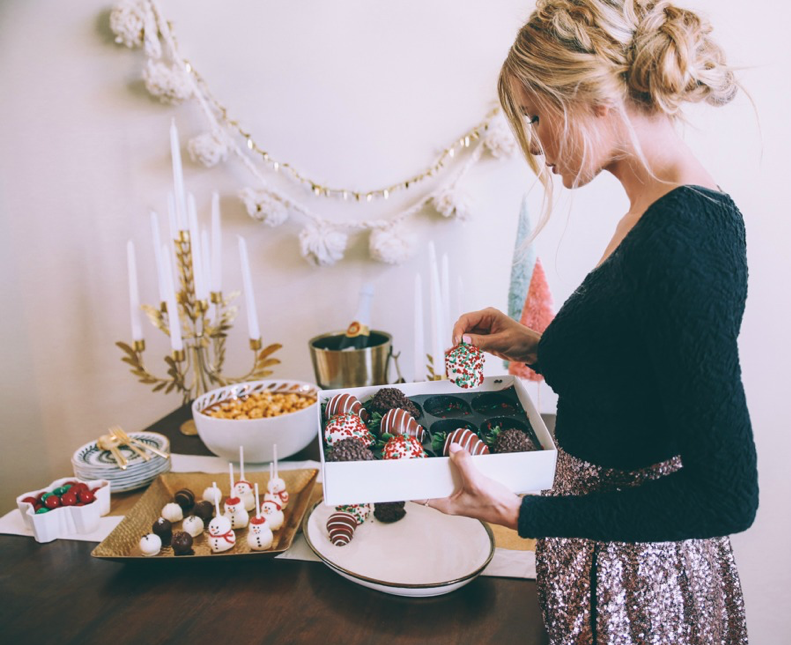 Holiday parties are the first thing that top our list. No matter if they’ve been nice or naughty, your loved ones deserve a wonderful holiday party that keeps them dancing well into the night. So, grab your pen and add a few of these holiday entertaining musts to your holiday shopping list. A party isn’t a party without a proper set of decorations. 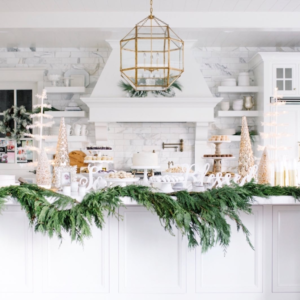 Everyone loves a theme, and the holidays make party decorating even easier. 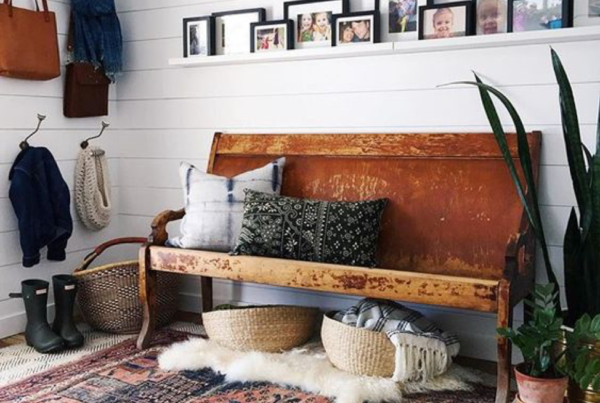 Deck out your home with your favorite decorations that have been stored away all year long. However, don’t forget to add in a few details to put your party over the top. 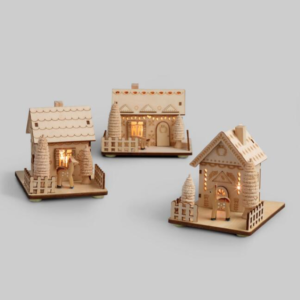 We love this set of Scandinavian wood houses from World Market. The tiny details and LED lighting put a modernized twist on these classic holiday decorations. Plates, Cups, Cutlery, Oh My! Table decorations are one of our favorite parts of entertaining during the holiday season. From one-of-a-kind centerpieces to the tiniest details like name cards, you can make your table settings the talk of the town. This season think minimalist. 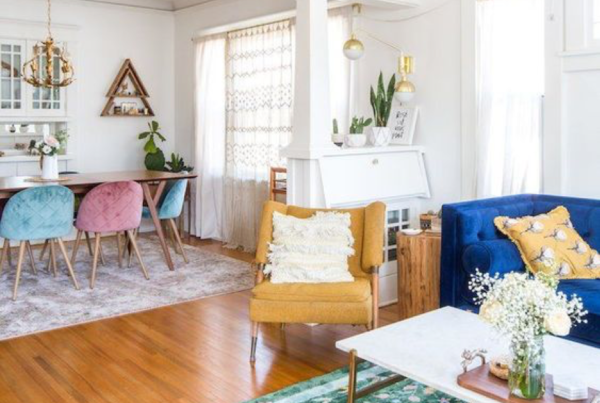 Don’t overcrowd your table with oversized decorations. 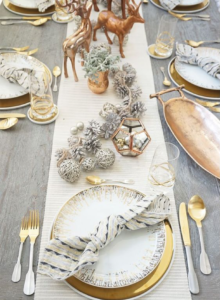 Keep things bright with white dinnerware and metallic accents. 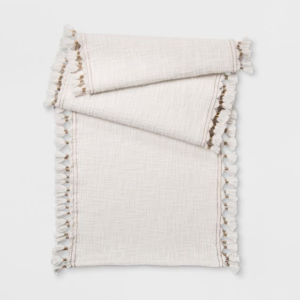 Kick off your tablescape with this fabulous runner from Opalhouse. 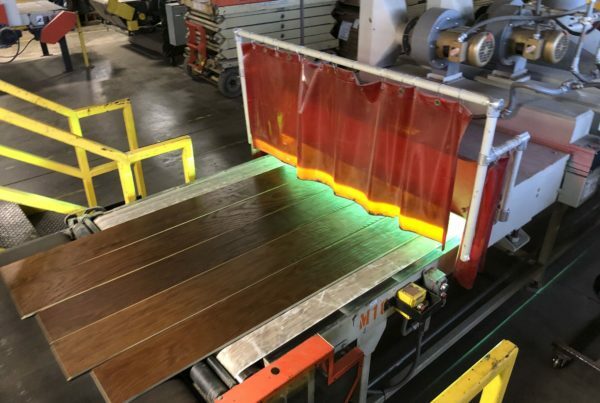 Even if Cindy Lou Who taught us that Christmas isn’t about presents, we can’t help but loving giving our family and friends a present during the holiday season. Don’t be a Grinch and miss out on an opportunity to show them some love inside and outside of the gift box. 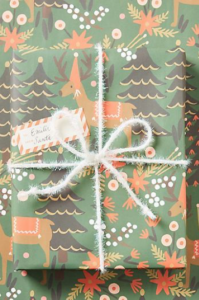 Here are our top picks for wrapping paper this 2018 season. 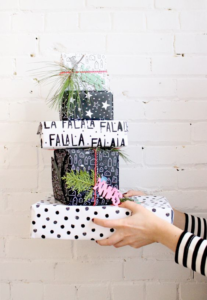 *Tip: Add a few unique surprises like greenery or cut-outs on top of the gift to make it extra special. 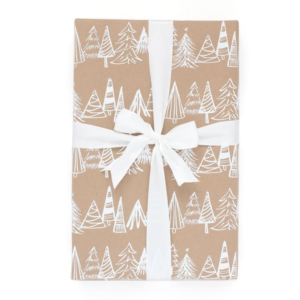 Also, check out our last blog post to figure out what will go underneath that cute wrapping paper in our 2018 Holiday Gift Guide. No Christmas celebration is complete without a beautiful Christmas Tree. Whether you prefer a Charlie Brown type tree of one that’s full to the brim with ornaments, your Christmas tree is all about you. 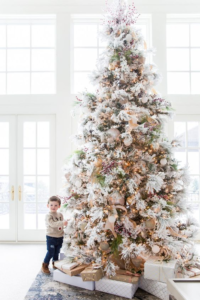 We absolutely adore this Christmas tree featured on the Ivory Lane. Tip: Make a statement with yours by adding a few personalized decorations that bring back a few of your favorite Christmas memories. Nothing ruins a Holiday party faster than a Scrooge! Although throwing a shin-dig can be stressful, remember to have fun and enjoy the moment. The Holidays are meant for celebrating the season. Don’t get so caught up in throwing the perfect party that you miss the point of why you did. If you need additional help with entertaining this Holiday season, contact our team. We’d love to help!